A graduate of Boston College with a bachelor's degree in psychology, Tiffany Hustis has extensive experience in the field of human resources. She launched her career in the profession as a branch manager at Manpower Incorporated. Subsequently, Tiffany Hustis served as a staffing specialist at Gibbs College Placement Agency and then office manager at E-Richards Consulting. In 2004, Tiffany Hustis returned to Boston College to study for her master's degree in school counseling. While completing the program, she interned at schools such as Wellesley High School and Lexington High School. She also accepted a position as office manager at Adecco Technical Staffing. Following her graduation in 2006, she became a recruiter for The Music People, Inc. The next year, Tiffany Hustis became a mother and decided to stay at home to raise her children. 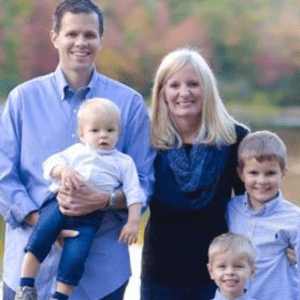 Now the mother of three school-age children, she has begun looking forward to returning to the business world in human resources or high school guidance counseling. In the meantime, she participates in the parent teacher organization at her children's schools.